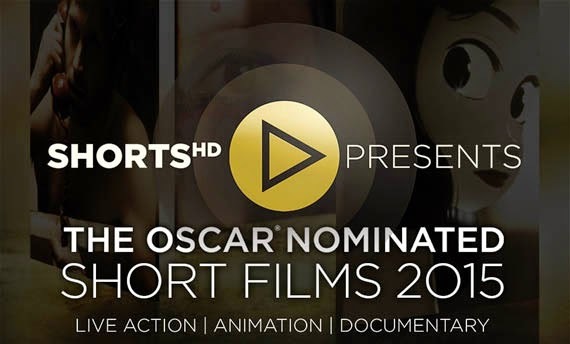 This year's batch of Oscar Nominated Documentary Shorts is a fairly heavy viewing experience both in terms of subject matter, and in length. Two of the shorts clock in at 40 minutes, two more at around a half hour, with the shortest being 20 minutes, making for a total running time of more than two and a half hours for the program. JOANNA is shot and edited so beautifully it almost doesn't seem like a documentary. But it is, and an emotionally devestating one at that. The film documents the final days of a woman dying of cancer as she tries to spend as much time with her 5 year old son Jas and husband Piotr as she can before the disease takes her. It's such an intimate thing to let someone document, and as any number of Hollywood tearjerkers have shown, a subject that can easily be played to pull cheaply on the heart strings. But there's nothing cheap about the film that director Aneta Kopacz has made, and the tears it is certain to pull from all but the most jaded viewers are earned. We see another family dealing with a serious medical issue in OUR CURSE. A Polish couple must deal with the fact that their baby boy suffers from a rare medical condition called Ondine's Curse. The result of this condition is that when the infant falls asleep, he stops breathing. For the rest of his life, he will have to be on a ventilator. It's not a certain death sentence, and the young parents try to remain hopeful for their child, but it goes without saying there will be significant difficulties ahead for this family. The film is shot very simply, usually with a camera placed on a tripod in whatever room the parents and the child are in. No style, no fancy editing; the film either works for you or doesn't on the power of the material alone. For me, it's perhaps a bit too simple and rough around the edges. It also feels as if this is a project that should be continued for a few more years and in more depth more than one suited for a short form presentation. According to the statistics given in CRISIS HOTLINE: VETERANS PRESS 1, 22 veterans die by suicide every day. The film focuses on the men and women of the New York based Crisis Hotline, doing their best to keep those who call them from becoming one of those statistics. Some of them are veterans, but certainly not all of them. And yet they all have to be able to find a way to connect with the troubled people on the other end of the line. Sometimes they succeed and a life is saved, at least for that day. Other times they don't. Obviously this is a subject full of inherent drama, and it's hard not to get pulled in by the film. Director Ellen Goosenberg Kent presents this material in a slick, matter of fact way that thankfully avoids sensationalism, but at times feels a bit too detached. Still, a good film about an important subject. THE REAPER is by no means the first documentary to show us the inside of a slaughterhouse, and like most such films it depicts its subject as horrific and disgusting. This film focuses on one slaughterhouse worker in particular, Efrain aka The Reaper. Scenes of Efrain's work environment are contrasted with his commentary covering both his feelings towards the work he does and his overall philosophies of life. “The world will be over for me after I die, and hell is what I go through every single day,” Efrain says at one point. It's an interesting look at an individual doing a job few of us would want to do, although Efrain's believes that with “enough experience” we all could. It's also hard to stomach, but if you're going to eat that hamburger (and I know I certainly am), you should be able to take a good look at how its made. WHITE EARTH is the shortest (just under twenty minutes) and, by default, most upbeat of the nominees in this category this year. It takes a look at families who have moved to North Dakota to work in the oil fields through the eyes of three children of oil workers, and a working immigrant mother. This one didn't really work for me, as very little of what the subjects have to say felt that insightful. I hope that doesn't sound like I'm criticizing the people. Not everyone can casually drop memorable quotes like Efrain in THE REAPER. As much as I was ready for something a little lighter given the other films in this category, this feels like it should have a bit more substance to it. Not a bad film, but not one that feels especially crucial, either. I did like some of the eerily beautiful shots of the oil fields at night, though. All in all a pretty solid group of films, but for me JOANNA is the clear winner. From an artistic standpoint, it's just in a different league from most of its fellow nominees. THE REAPER probably comes closest, but it's just a bit too abstract for my tastes. Regardless, the whole program is well worth checking out, even if you probably will leave the theater a little more bummed out than when you went in. 3 ½ out of 4 stars. I vote for "Crisis Hotline." Runner-up: "White Earth."